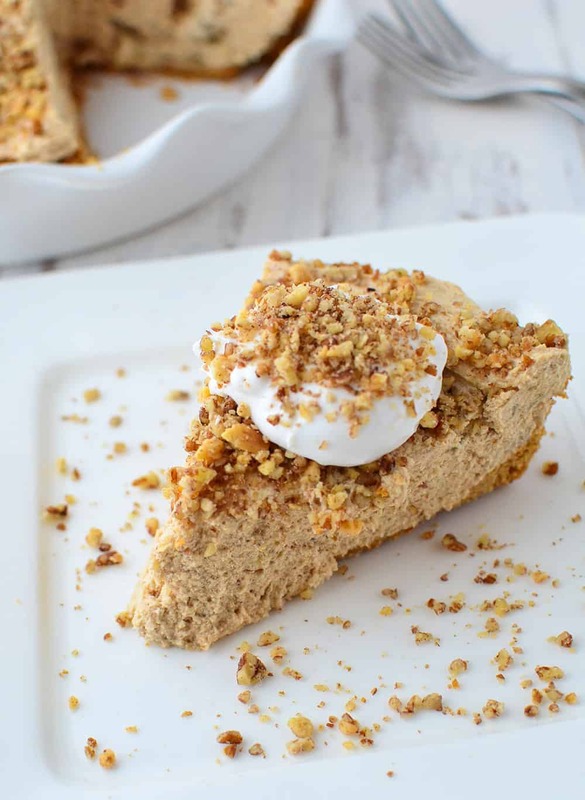 Vegan Peanut Butter Banana Cream Pie! 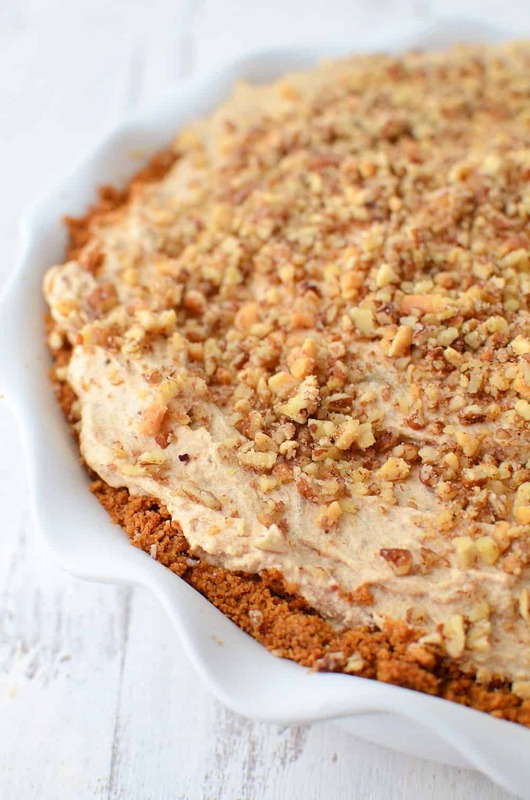 Creamy, fluffy peanut butter and banana filling topped in a graham cracker crust. This past weekend, after flying to Philly to visit my best friend and her new baby, it really hit me…I am an adult. Sure, I’ve known I was an adult since moving out to California from Virginia, starting my career/business, and getting married, but I still sometimes forget that I’m not 22 anymore. I am slowly transitioning from the care-free, limited responsibilities world to the reality that most of my close friends are not only married but also starting families. The last few years have been a slow transition from weekly happy hours, bachelorette parties and destination weddings to weekends filled with babies and baby showers. Don’t get me wrong, I couldn’t be happier with my current stage of life, but the reality of adulthood–I’m turning 30 this spring–has really started to sink in. And if there’s anything I know for sure, it’s that the little moments deserve celebrating too. Thankfully, I have just the pie. I originally created this pie for a pregnant-with-twins girlfriend who was craving sweets, sweets, and more sweets but was very mindful of the ingredients she consumed. Yup, totally get it. So, after a few tries in the kitchen, I recreated one of her favorite desserts, the banana cream pie. Made from mostly whole sources like ripe bananas, coconut, peanut butter and dates. Sigh. Yet again, there is nothing that dates cannot do. While I don’t shy away from dessert very often, I tend to care more about what’s in the dish than how many calories, fat grams, or sugar grams it has. I’d rather have a dessert made from as many wholesome foods as possible with a higher calorie count than an artificial, chemical laden pie that’s also deemed ‘light’. Call me crazy. While I think the motto ‘count ingredients, not calories’ oversimplifies nutrition a little too much, it’s an OK approach in my mind when it comes to choosing desserts. Quality over Quantity. As such, this glorious, glorious pie was born. What started out as a simple gift for a friend turned into something that BL requests almost weekly. When pie tastes this good, who am I to deny him? The hardest part about making this pie is not sneaking bite after bite while you assemble. I swear I could survive on coconut cream-based desserts alone. They are so fluffy, decadent yet light at the same time. Thank you coconut cream for being the dairy-free wonder that you are. To deepen the banana flavor, you will start with ripe bananas, and then gently caramelize them until they are soft, rich, and gooey. While sugar purist can choose to skip this step, I think it gives another layer to the banana flavor and softens the bananas enough so that they are almost blended into the coconut cream layer. The slight caramel undertone of the pie is thanks to date puree, a trick I learned from Dana that I will be using over and over again in my dessert recipes. Basically, you are pureeing dates until they resemble caramel. Doesn’t that sound like fun? Soak the dates in hot water, remove the pit, puree until silky and smooth, add to pie. Dates kick a##! They contain fiber, potassium, magnesium, and B-6. Take that, white sugar! 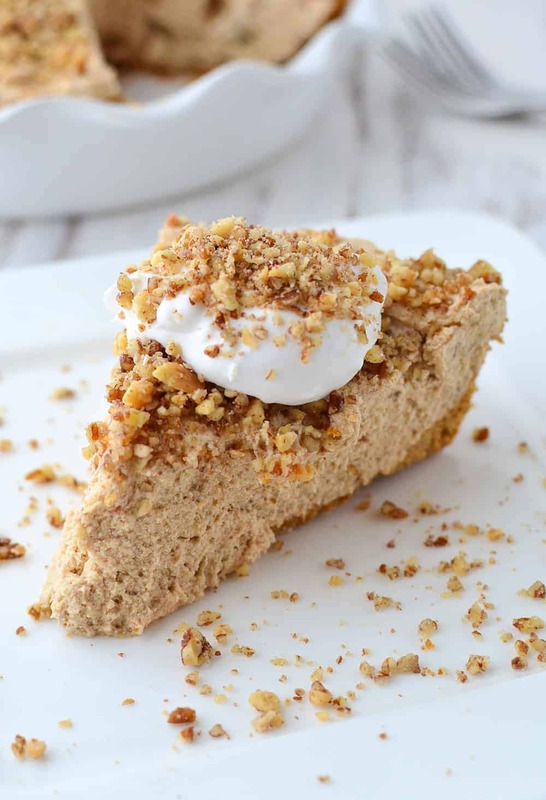 A last note, I am using graham cracker crumbs for my crust because, they taste so freaking good. However, if you want a healthier pie, then I suggest either making this as a mousse (like my chocolate raspberry cups) or using an almond/date crust instead. 1 cup dates, soaked in hot water for at least 10 minutes. Bake for 12-13 minutes until fragrant and lightly browned. Set aside to cool. Wipe out the graham cracker bowl and add the sliced bananas. Toss with 1/4 cup sugar, trying to coat every banana slice. Place bananas on a [url:2]silpat[/url] or parchment lined baking sheet and bake for 15-20 minutes until caramelized. Set aside to cool. Using a food processor, fork, or potato masher, mash the bananas well. Make the date puree! Remove dates from water and pit them. Place into the base of a food processor and puree until really smooth, adding a bit of hot water as needed until you get the consistency of sticky caramel. Using a stand mixer or large, clean bowl, add the coconut cream (if there is any liquid at the bottom of the can, leave it) and beat until fluffy and creamy. Add in the date paste and mix. Add in the peanut butter and well-mashed bananas and mix once more. Transfer to the cooled pie shell and refrigerate at least 3-4 hours! 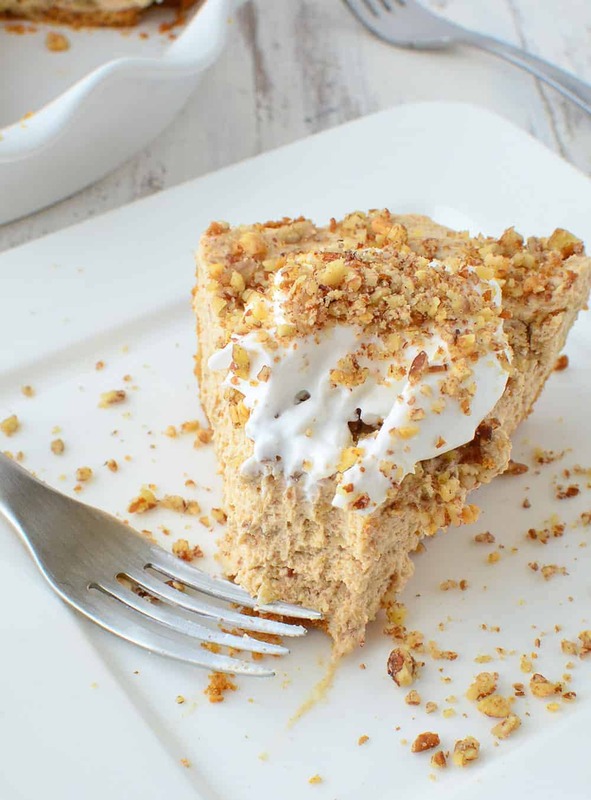 I like a good crust on my pie so I used a healthy amount of graham cracker crumbs here. If you want to lighten this pie up a bit, use a little less. This pie also makes fantastic bars! Make the crust and press into a lightly greased 9×13 glass baking dish. You could get away with not lining the sides and using less crust all around, 1.5 cups of crumbs instead of 2. To make this 100% vegan friendly, use vegan graham crackers (traditional ones contain honey) and Earth Balance baking sticks (my favorite anyways!) Make sure your date puree is really smooth. Don’t be afraid to let your food processor run for a few minutes. Same goes for the bananas! I’ll be 29 this year so I can definitely relate… I’m not ready to hop on the baby train yet but some of my close friends have started to and it definitely changes so much. The dessert I posted yesterday was actually made for my friend that just had a baby and needed a pick me up! Hope you had a good time in Philly! Aww, you’re SO sweet to make your pregnant friend a healthier version of her favorite dessert! That’s true friendship. And I still have a little ways to go before 30, but… It IS scary how many people I know are getting married and having kids. I’m so not ready for that yet! 😉 Pinned! I know how you feel about wanting to just eat this while cooking it! Dates are totally awesome. I’ve never shipped it into a cream before to make pies. Will have to try that soon! Oh, and I know how you feel about people getting married left, right, and center! It’s just one of those things about getting older! 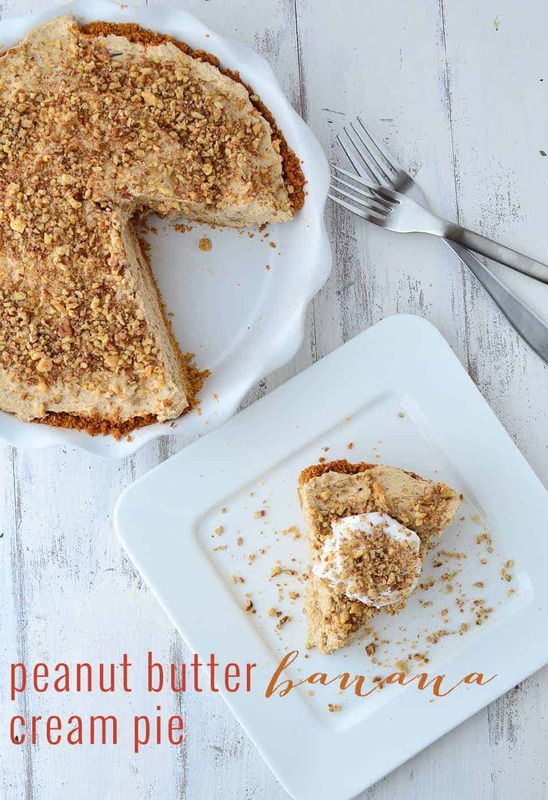 Whoa girl, this peanut butter banana cream pie sounds out of this world!!! 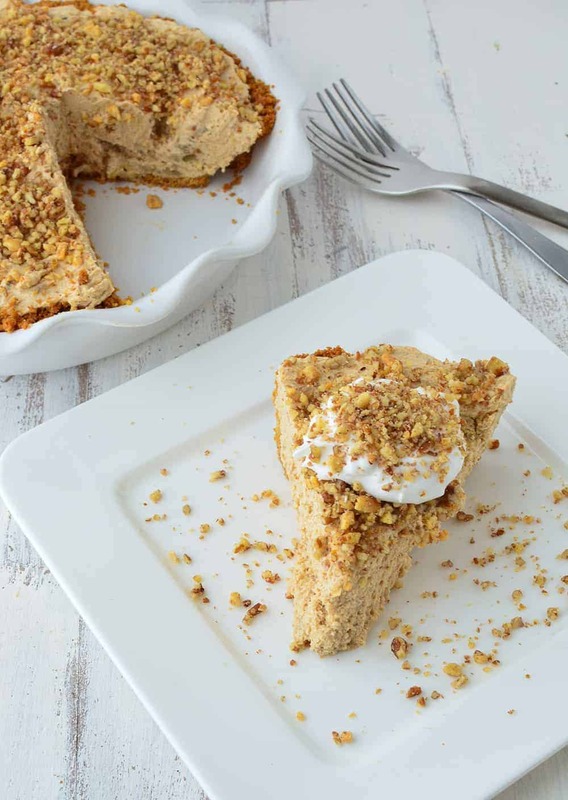 I love how wholesome the ingredients are: coconut cream, bananas, dates… this pie has my name all over it. Pinned and cannot wait to make this! This is sooooo healthy I love it! I am feeling adult as my friends begin getting engaged… and as I write my rent check each month lol. Whoa! Such a simple ingredient list! I was expecting it t one really long. I make caramel dates all the time, it’s sooooo goooood. Thanks for this recipe, looks amazing!